I decided to write this as a year has gone by and I’m still trying to make some sense of it all and I warn you this might end up rambling on! I feel like I have lived several lives in the past year, so many changes, lots of new experiences packed into just twelve months. It seems very apt that #BloodCancerAwareness month has coincided with the anniversary of the end of my treatment a year ago for Acute Myeloid Leukaemia. 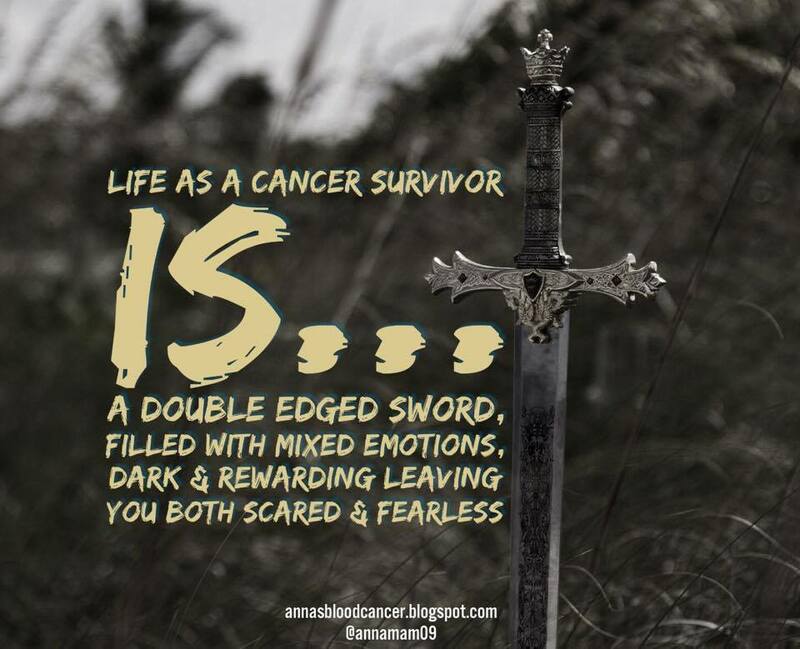 I have been thrown into this cancer world which I’ve done my best to embrace, taking a step back to breathe sometimes and at other times running headlong into it. Mostly it has been kind to me however, I find myself using the phrase ‘double edged sword’ more and more. It’s a world I was so naive about even though people close to me had been through different cancers I totally underestimated the ripple effect of it and how it changes you. Before, I winged it, like we all do, telling myself ‘it won’t happen to me’. Looking back my husband and I often had conversations after hearing of someone’s diagnosis ending them by saying ‘you never know who is next’ yet still I never dreamed it would be me. During the many hours I spent in hospital I fantasized about when my life would get back to normal assuming this would be the case. Well that never happened and I am coming to terms with the fact that I have to build a ‘new normal’. I know I have changed, it would be impossible to have been brought back from the brink of death without it having any affect on me. I see things are lot clearer now, what I want to achieve and things I don’t want in my life anymore. Emotionally, while I was away from my loved ones…not even being able to hug them at times due to my compromised immunity, I cut myself off. I’ve struggled to open myself up to affection again and deep down I know I do it to protect them in case I relapse and have to leave them again…possibly forever. Even a year on I don’t know if I will ever be able to fully open up and I haven’t really cried that much considering, always stopping myself from really letting the emotional me back in. I really don’t know how my daughter would cope as I’ve only just managed to put her back together again. Making new friends has been something unexpected but absolutely wonderful, I now have some exceptional, brave, caring and like minded people in my life. I would not know them if it wasn’t for this disease. There are some amazing people out there and going through the worst time in my life has definitely restored my faith in humanity. I have experienced some acts of kindness that have really touched me, from the young man who helped push my wheelchair into hospital on the fateful night, I doubt he even remembers! Some have been so generous with money, time and gifts, this means more to me then they will ever know. Some survivors see their disease as a blessing and I can relate to that, then it hits…the Leukaemia is still lurking in the shadows! I must be mad, unhinged, crazy right? My reasons for relating to what some say is I’ve always had this need to help others and now I have something that I can really use to help others. If I can help another person going through cancer treatment and make them feel confident and reassured then great. On several occasions I’ve been contacted by people from all over the UK and abroad, offering the help and advice. They have had nothing but praise for my blog, it’s meant they’ve felt less along…my job is done. Learning about my disease and blood cancer in general has reminded me of my passion for discovering new things. Although, don’t get me wrong, there has been heart stopping moments like reading the words Palliative Care amongst other scary stuff in my GP notes, finding out that AML is rapidly fatal meaning I had only days to live, what remission really means, survival statistics, etc. Overall though I have really enjoyed researching, talking to my consultant, Macmillan nurse, Bloodwise colleagues and other cancer patients about it. For me understanding and knowing absolutely everything feels empowering and has helped me feel in control of it, I am fully aware of what might happen to me in the future. 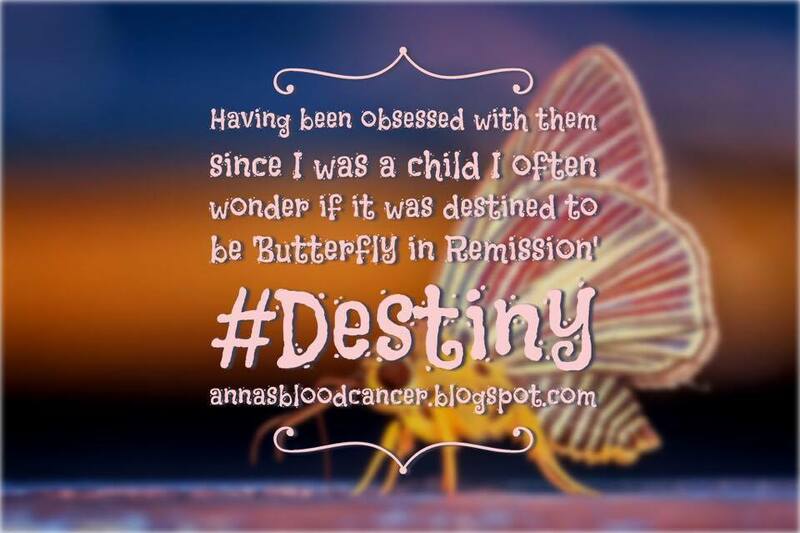 When I was diagnosed with Leukaemia it was totally out of the blue, such a shock, with what I know now there is nothing that can happen that I am not aware of. Even though lately the fatigue and physical weakness has been really getting me down I suppose really I’ve come a long way compared to where I was this time last year. A year ago my back was sore from spending so long in one place. I couldn’t be left alone so had ‘baby sitters’ all of the time…lately I have missed this even though it was a tough time I look back with very fond memories that I will cherish.